Horse Sense Wirral's tenancy at Lodge Farm, Thornton Hough, has come to an end and landlords, Leverhulme Estates Ltd. have decided not to renew and served us with 12 months notice to move out. Their property managers Strutt and Parker, lead us to believe that we were given a short tennancy with guarantors, to prove our ability to pay the rent and following that a renewal would be no issue, we told them we were moving here for LIFE, to which their employee replied "That's great, that's what we like to hear". Leverhulmes, at first stiplulated, that they wanted guarantors again and unfortunately, due to personal changes in circumstances, our current guarantors can not stand again, however, they gave us no time to source new guarantors and served us with notice immediately and refused to disscuss the matter with us. We have since written to the board of Trustees at Leverhulmes Estates and again, we have been IGNORED, so have been left with no option but to draw on public support. We are Wirral's biggest Animal Charity and very proactive within Wirral and surrounding areas, we always have well over 100 animals, from hamsters to horses in our care, at any one time. We also offer a safe place for adults with learning difficulties to come and help caring for the animals, also helping them with their learning difficulties and anxiety. Please sign and share our petition to hopefully convince Leverhulmes to let us stay and if possible, consider a small donation to help us with legal fees and a pot of money to assist us, should we need to move, as moving here cost £17,500, which was only made possible by a loan, which is not renewable and a generous donation from a local supporter, the costs covered paying for 2 properties whilst moving all the animals and belongings over, transport, deposit and rent up front. 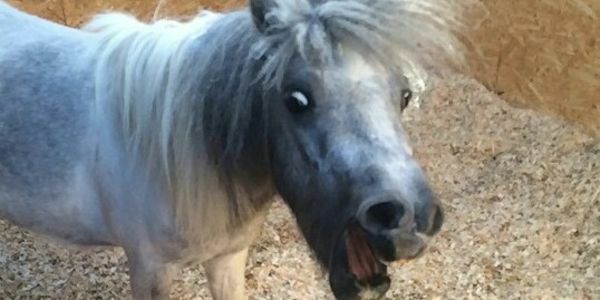 We want to avoid moving due to the costs, but also due to several old ponies that would be too stressed to make the trip, moving or closing would result in LOSS OF LIFE!!!!! Please do what you can to help, share posts, help us distribute printed petitions around the area, come forward to be considered as a guarantor, anything at all to save these animals, any more stress in their lives. CLOSING IS NOT AN OPTION!!! !